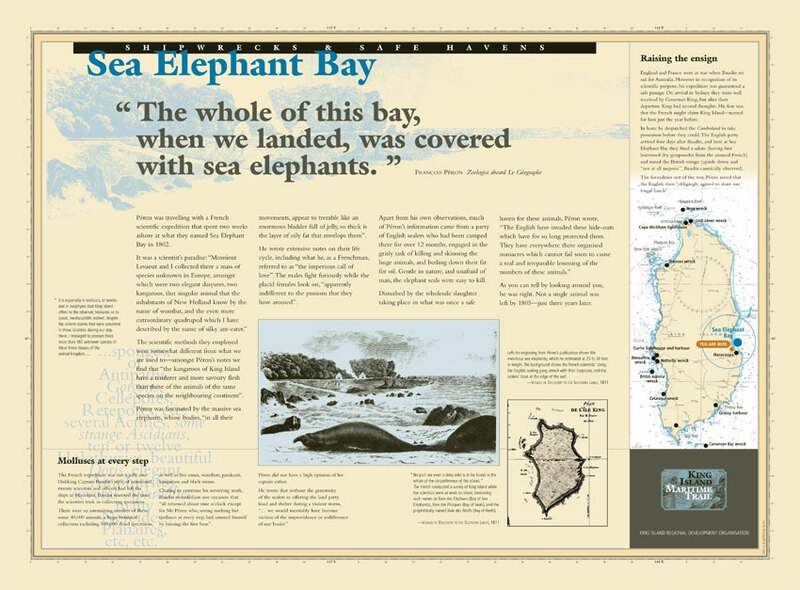 Peron was travelling with a French scientific expedition that spent two weeks ashore at what they named Sea Elephant Bay in 1802. He wrote extensive notes on their life cycle, including what he as a Frenchman, referred to as “the imperious call of love”. The males fight furiously while the placid females look on, “apparently indifferent to the passions that they have aroused”. Apart from his own observations, much of Peron’s information came from a party of English sealers who had been camped there for over 12 months, engaged in the grisly task of killing and skinning the huge animals, and boiling down their fat for oil. Gentle in nature, and unafraid of man, the elephant seals were easy to kill. He was right. Not a single animal was left by 1805 – just three years later.